Maximilian Günther will not start at the fourth round of the ABB FIA Formula E season in Mexico and will not return to the wheel of his Penske EV-3 until a later point in time. The 21-year-old German remains part of the GEOX DRAGON team and will complete at least one more race in the 2018/19 ABB FIA Formula E Championship. 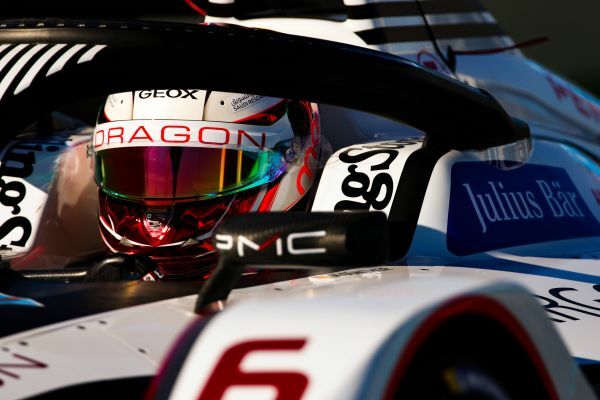 The absence from the race in Mexico is not surprising for the GEOX DRAGON driver and was a foregone conclusion since the contract with GEOX DRAGON was signed. Maximilian achieved his best qualifying result at the Santiago ePrix with seventh place and stopped in the race due to a technical issue running in eighth position. Maximilian wants to build on his good performance in his third race in the electric racing series in his upcoming starts and development work with GEOX DRAGON in the ABB FIA Formula E Championship. Maximilian Günther: "It was clear from the beginning that I would share the ABB FIA Formula E season at GEOX DRAGON with another driver. I know that I will be racing for GEOX DRAGON again this season. Until then, I will continue to do the simulator work and be a test and replacement driver for the team. I had a lot of fun in Santiago de Chile, where I had a great race after my super qualifying until my retirement and I am looking forward to returning to the Penske EV-3 soon!"